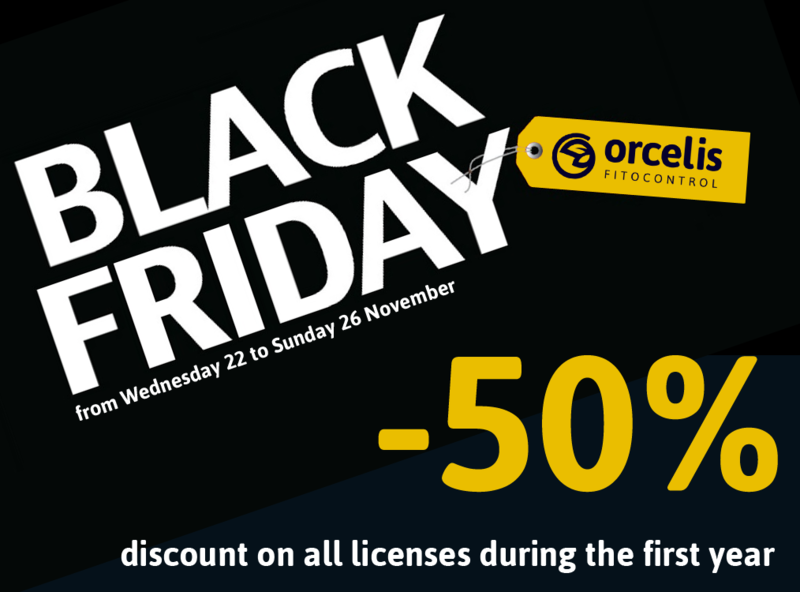 If you acquire any license from Orcelis Fitocontrol, between the 22nd and 26th of November 2017, we will give you a 50% discount on your usual price during the first year. This promotion affects all types of licenses and any number of hectares contracted. Take advantage of this great opportunity, get in touch with us and start 2018 using the best agronomic tool on the market at an unbeatable price.